Airwave- Exclusive mix for bejbi.se. The 49th of our series of exclusive mixes..
Click ”see the rest of this entry” to read more about Airwave and to download the mix. 1977 saw the death of the King, the release of «Off the Wall», and anecdotically the birth of Laurent Veronnez in Brussels, (a few hours after Imogen Heap’s?). Does it mean anything? We don’t know. But nothing back then could explain the relationship that the man would establish with music later on. Hit by surprise by a virus called Electronic Dance music, Laurent developed his knowledge of music and technology in Parallel until his first demos saw the light of day in may of 1995. 1996 saw him release his first tracks on the infamous Bonzai imprint, but that is 1998 that saw him grow up and become the progressive trance artist we know today, with the release of his first Airwave record, I want to Believe, immediately picked up by UK’s own Sasha and Oakenfold, and later on by up and coming youngster Tiësto, gaining popularity as much as he was playing Laurent’s records. The same can be said about the whole dutch trance scene, in which Laurent’s records were and still are omnipresent. 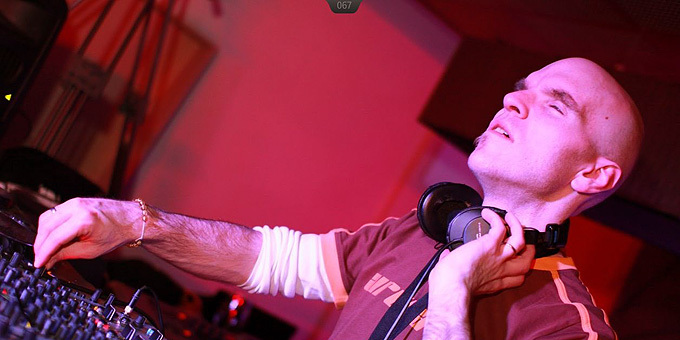 That is how Laurent developed his DJ and performer’s career from back then, having several gigs worldwide, from Tokyo to San Francisco, from Auckland, NZ to Toronto, and from Manchester to Athens. Hundreds of gigs saw him perform at the world’s biggest clubs of those times, Slinky, Gatecrasher, Godskitchen, The Gallery, 1015, Dopler in Bratislava, and many others, all of them had the chance to welcome Laurent Airwave one day, if not several times, which proves that you don’t need to overcommercialize your music to get rewarded all around the world. And Tomorrow is another Challenge for Airwave and his troops. By the time you read this, the shift in sound already has started and Fans know how full of surprises the man can be. Forget the big fanfare riffs, it’s time to get mature! To sum it up, Laurent alongside with long time idols of his and day 1 supporters, «is creating a world full of humanity, craving for a better world much more than success and fame, which eventually lead to greed». Imagine a world losing the weight of those useless properties and you vaguely have an idea of how altruistic and important the man is for the EDM scene. Now he is the 49th out for a series of exclusive mixes recorded for bejbi.se by our favorite dj´s, both well known, and unknown, that we will publish once a week untill we run dry. Download Airwave’s Exclusive mix here (right click and save as) or listen to it live on Soundcloud or just press play below here. If you want to hear more of Airwave, check out his homepage. One Response to " Airwave – Exclusive bejbi.se mix "